Well being and respect by the naturist pool! Casual and family atmosphere at a naturist campsite! Carefree holidays in human-sized naturist campsites! Longing for some quiet quality family time? Wait no more and book your camping pitch and accommodation in one of our small naturist campsites in France. These human-sized sites offer a warm welcome and propose genuine naturist-styled customized services. Nature lovers will be delighted by the unspoiled natural surroundings. Alongside the river, on lakeside, close to the ocean or with a pond, choose your favourite location! Swimmers will enjoy both the pool and available natural water sources. While some will go fishing in the pond, sport enthusiasts will go canoeing, paddling and hiking. 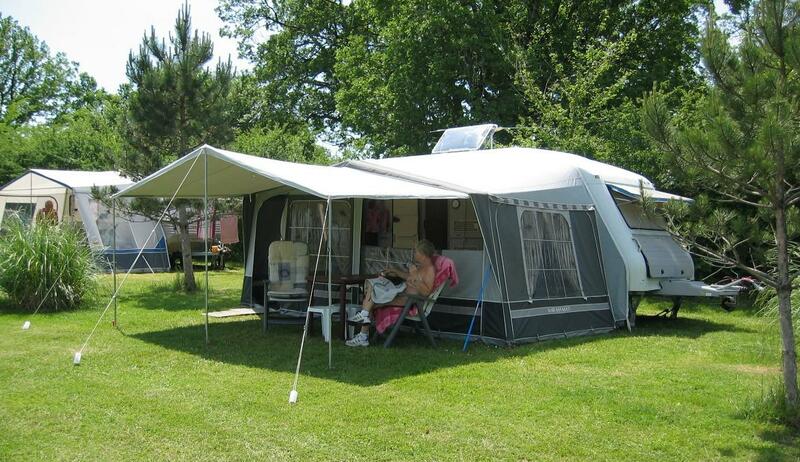 Children and grownups will have many age-suited activities on a small naturist campsite. This is indeed the best option for taking a break from daily life while sharing precious family moments! Relaxing and conviviality will be the keywords of your upcoming holidays! 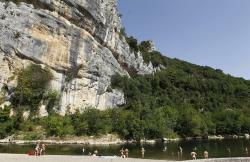 Naturisme.fr invites you to stay at the heart of the Verdon Gorge. 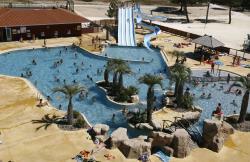 The Verdon Provence naturist campsite welcomes you for 100% nature relaxed family holidays. In the Pyrenees, in Castelnau-Magnoac, 3-star naturist campsite Domaine de l'Eglaniere is settled in a lovely green area alongside river Gers, halfway between the Atlantic and the Mediteranean! 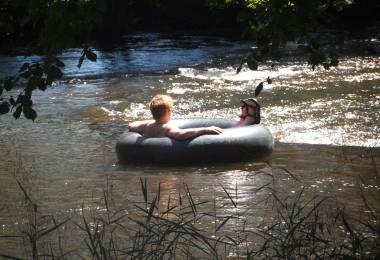 Enjoy bathing and playing in the naturist swimming-pool and in the river. During your stay, discover the wonderful treasures of the Pyrenees! Experience naturist holidays in South France in the natural area Cevennes at naturist campsite La Genese, in Mejannes-le-Clap. Nestled in the heart of beautiful Gorges of Ceze, campsite La Genese is a great camping destination for nature family holidays. Farniente and lazy days at the naturist swimming-poo area and energetic holidays with various outdoor sport and activities everyone will enjoy their perfect holidays! Alongside the Atlantic coast in Vendays-Montalivet, 3-star naturist campsite CHM de Montalivet offers holidays on the waterfront. The naturist campsite boasts direct access to the naturist beach stretching over 2 kms and a great water park. 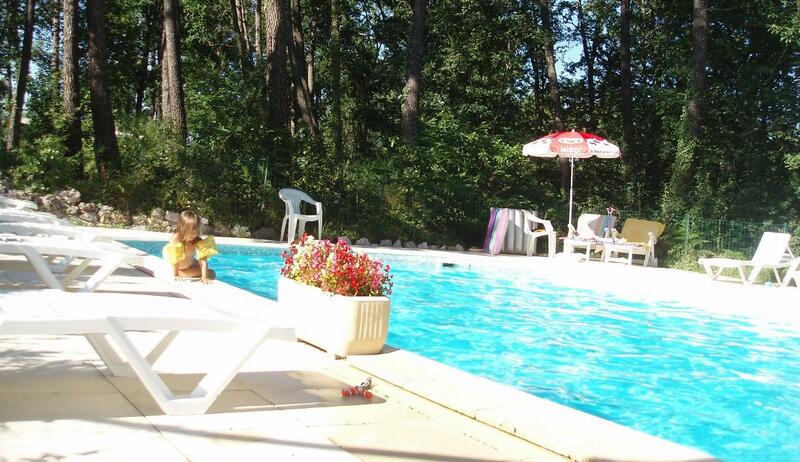 CHM Montalivet is a perfect camping destination for naturist family holidays with various activities and animations for kids and the whole family! Discover Les Manoques! 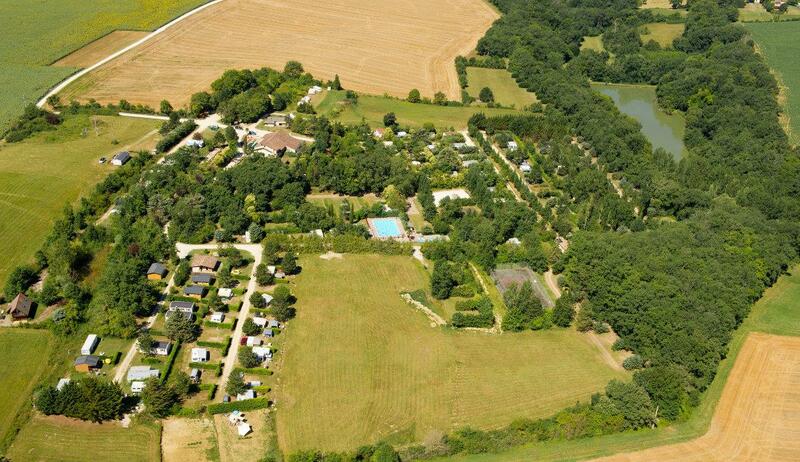 The naturist campsite for families in Cahors, located between the city of Toulouse and the valley of the Lot, offers you an unforgetable naturist holiday in the south of France, in the heart of a beautiful oak forest. 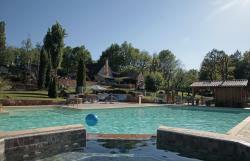 Take a swim in the swimming pool, relax in the sauna or the hot tub and enjoy one of the finest naturist destinations in the south of France!